♦ Rate Adjustment if any, based on the representations received from different trade and industry and their associations. This meeting was important in the sense that GST is going to be implemented w.e.f. July 01, 2017. Movie tickets costing Rs 100 and below will now attract 18%, against 28% proposed earlier, while that above Rs 100 will continue to attract 28% GST. Packaged food like pickles, mustard sauce and morabba will attract 12% GST, against 18% proposed earlier. Also, tax rates on cashew nuts have been cut to 5% from 12%. Jaitley added that reducing the tax rate meant a revenue impact for the government, but lower tax incidence could help improve tax buoyancy and keep inflation low. 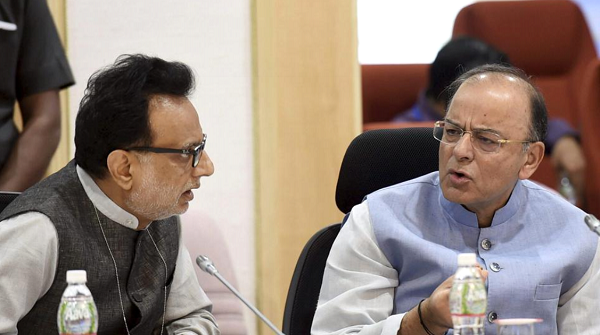 However, whether the same increased turnover limit for Composition levy will apply in case of Special Category States or not will be decided in the next GST Council meeting. Scheme. The scheme allows traders, manufacturers and restaurant owners to pay taxes at the rate of 1, 2, and 5% respectively. What in Next council meeting? Company: Gaurav Ram & Co.